FELINE TERRITORY MARKING – SPRAYING IN THE HOUSE OR EVEN POOING ON THE BED. Cats spray from an upright position, tail held high and quivering, and eyes narrowed with a look of concentration (UK Cat Behaviour Working Group, 1995). 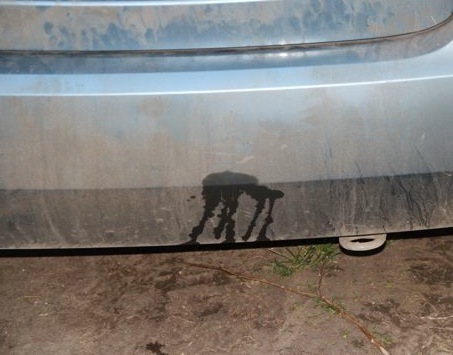 It is a way of marking territory and the urine is usually deposited against a vertical surface. It is natural behaviour and causes no problems when it is done outside the home. Cats spray on prominent features of their territorial pathways. Upright spraying is almost always marking behaviour (Neilson 2009). Squatting urination can sometimes be marking behaviour particularly if the cat is marking either new objects or in places smelling of the owner (like the bed) but it is more usually a surreptitious pee because of litter tray problems. A cat spraying usually has a vacant expression on its face and a twitching tail when it is doing marking urination, whether upright or squatting. Within the home, marking urination is often done at entry or exit points like doorways and windows, on electrical appliances, on objects that occur on a cat walkway ie the normal path it takes round the house. Or the cat may spray where the owner’s scent is strong like on the bed, on strange items like the posh new settee, or on heated objects like radiators! Cats that are marking their territory (as opposed to shunning the litter tray) often use their litter tray normally. Sometimes a cat sprays and also dislikes using the litter tray – so you have a litter tray problem as well as a marking problem. Once an area has been sprayed, the cat will top up its mark frequently. Both male and female cats will mark their territory, though it is more common for males. Un-neutered males can be neutered to stop spraying. However, about 10% of neutered males and 5% of neutered females still spray (Hart & Cooper l984). Spraying is more common in multicat households (Pryor et al., 2001). When cats have been spraying for years, it is difficult to stop it altogether. However, it can normally be reduced to a level at which the owner can cope. Cats very occasionally use poo to mark their territories in the same way as spraying – at doors or windows, on the bed, on the sofa. They may do this on places which smell of their owner and turn to these areas when anxious. Pooing should be treated in the same way as spraying. But pooing outside a litter tray is more usually a sign that the litter tray arrangements are not satisfactory for the cat (Neilson 2009). Get your cat checked by a vet. Cystitis, kidney disease, bladder stones and other disorders may be involved and must be treated before anything else is done. Cystitis is also linked with stress (Cameron et al., 2004). If your cat is squatting and urinating, it may just be relieving itself rather than marking its territory because it doesn’t like the litter tray set up. Sometimes cats urinate in the wrong place because they can’t get to the litter tray in time – old age, geriatric confusion (Bowen 2011) or pain (Caney 2007). Always check the Questions you should ask if your cat stops using the litter tray on this website. Getting the litter tray arrangements right will help your cat feel less stressed, and occasionally will stop further territory marking without anything else being done except cleaning. So I shall talk about spraying but in this I include squatting urination when it is marking and also territory marking with poo. Spraying is not always easy to eradicate. If you can afford it, I strongly advise getting help from a cat behaviour counsellor who can come and visit. In the long run it will be cheaper than a ruined carpet and a smelly house! Get help fast. The longer you leave this, the more difficult it will be to change. If you decide to try and treat this yourself, do not go in for half measures or try to save time or money! Half measures will not get you anywhere! Put in the effort NOW. Never punish. This will encourage even more spraying (Heath, 2004). Cats that mark territory may be anxious, unhappy or frustrated. They are not doing it on purpose to upset you. ARE YOU SURE WHICH CAT IS DOING IT? Have you SEEN it? Take a video on your mobile. You cannot be sure unless you see for yourself. If you have more than one cat in the household do not assume you know which cat is spraying unless you have seen it happen. If necessary confine each cat separately to a room, in order to find out which is doing it. Sometimes one cat spraying will set off the other and both or all are doing it. Just to make life more complicated, they may be spraying for different reasons. Ask your vet about a fluorescent marker dye, Fluorescein, which can be put in food and which comes out in urine, which can help detect which cat is doing it. Or you can use grated wax crayons in the food to see which cat is pooing. If using Fluorescein start on the cat that is least likely to spray and proceed by eliminating each cat. You will need to borrow a UV lamp to investigate the spray mark. This is quite complicated. However, if you treat the all causes of stress within the household, this may solve the problem anyway even if you are not sure about what cat is marking. You have to do three things – clean up, treat the scent of the sprayed areas, reduce or eliminate the causes of stress. In that order with rigorous care. After cleaning, Vets can prescribe Feliway, which helps reduce spraying. It comes in a spray and in plug-in form, Feliway Diffuser. It will only work if combined with rigorous cleaning and action to stop cat stress. You will need to use both diffuser and spray for 30 days or more, sprayed daily on all the urination areas. In severe cases or if the cats are indoor cats use it twice daily. The aim is to use Feliway as often as the cat is patrolling and marking its territory. If the cat is marking three times a day, then use it three times a day. Be lavish. If you don’t use enough, it will not work. The alternative treatment (much more work but no cost) is to use the scent off the cat’s own facial glands. This may be more effective, but it is only possible if you know where your cat rub rubs its chin in the house. Take a soft clean cotton cloth and tape it or pin it to the places you cat rubs. If you can identify several places, all the better. Use several cloths. When you are sure they have been rubbed, then hang up the cloth where the cat has sprayed. Do this daily rotating the cloths. If you have a cuddly cat you might be able to put on fine cotton gloves and gently rub it against your cat’s cheek and chin then wipe on the spray site. Or use a flea comb to comb the facial area and then comb or rub against the spray site. 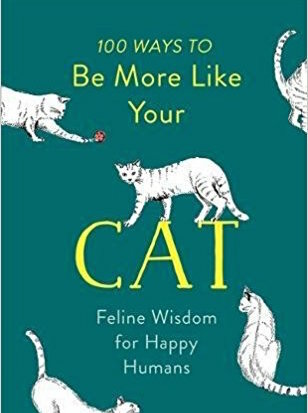 But if you have a nervous cat, anxious about petting, this may freak it out. Do not persist, in this case, as the cat will become stressed and spray more. Use Feliway instead. As a last resort you can ask a vet to prescribe drugs. But medication is difficult to administer and is not a substitute for dealing with the causes of stress. Without a behaviour plan, cats will usually need to remain on medication for life (Landsberg 2001). Clean all the urine sites, see section on cleaning up cat pee. If you don’t do this thoroughly, you might as well not bother with anything else! Consider redecorating, repainting radiators etc. if the spraying has been going on a long time. 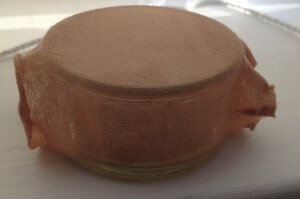 After cleaning, spray with Feliway and plug in a Feliway Diffuser or use the cotton cloth technique daily for 30 days (twice daily or even three times in severe cases) on the site used for spraying. Finally add bowls of food at the spray sites. If you have a greedy cat, glue pieces of dried cat food on cardboard and place these at the site – they cannot be eaten but they will make the spray site smell like a dining room not a toilet. If you have a very greedy cat, then put food in a glass yoghurt pot and cover with a piece of old tights so that the food smell wafts out. If you know where your cat is standing to mark then putting tinfoil, bubble wrap or double-sided sticky tape on the floor there may stop it backing up against that particular vertical surface (Mills et al., 2013). But you can’t cover the whole floor with this and if you cat is getting very stressed, this may not help his mood. If your cat is spraying electric plugs, consider child safety protectors for these. IF THE SPRAYING HAS BEEN GOING ON FOR SOME TIME, START TREATMENT IN ONE ROOM. Make the cat feel safe in its own territory by putting it in a small room which has been thoroughly cleaned of urine marks. Confinement means safety to a cat. Put its bed in the room and also supply litter. Use Feliway (or scent cloth or comb) lavishly in the room/pen before putting the cat in. Keep the cat in there for two or three days being careful to change litter frequently. Then slowly allow the cat access room by room to the house, cleaning each and lavishly spraying with Feliway daily and supervising it to begin with in each room. Take about a week to re-introduce the cat to each room. If you hurry this, it may not work. You are going to need a great deal of Feliway on the rooms already used by the cats, then on each new room as you give the cat access. Each room will need spraying for at least 30 days on all urine marks. The aim is for the cat slowly to perceive the house as a safe zone with protecting owners. FINDING THE CAUSES OF SPRAYING TO PREVENT IT STARTING AGAIN. Spraying is usually a cat’s response to stress. If you don’t deal with the underlying causes, then it will start up again. There may be more than one cause – all must be investigated. Think about this in chronological order. Where did it start? When did it start? Choose a symbol for the first spraying, say A, a symbol for subsequent spraying, say B and so forth. Make a map of the house and mark the spray points. Location may supply clues – near the front door may mean something frightening the other side. On the route to the feeding area may mean one of your cats is ambushing the other there. Do careful observation of the relationship between your cats. Try to think like a cat. This is where the help of a behaviour counsellor is well worth having if you can afford it. Sometimes pet insurance pays. To find out why your cat is spraying, read the FAQ on Reasons why your cat is stressed. There’s quite an amusing site at Feliway to help you arrange your cat’s world. Bowen, J., (2010), ‘Neurological disease and behaviour’, Proceedings of the Southern European Veterinary Conference. Available at: www.ivis.org/proceedings/sevc/2010/lectures/eng/Bowen2.pdf Accessed 12 July 2011. Cameron, M. E., Casey, R. A., Bradshaw, J.W. S., Waran, N. K. & Gunn-Moore, D. A., (2004), A study of environmental and behavioural factors that may be associated with feline idiopathic cystistis,’ Journal of Small Animal Practice, 45, 144-147. Hart, B. & & Cooper, L., (1984), ‘Factors relating to urine spraying and fighting in prepubertally gonadectomised cats,’ Journal of the American Veterinary and Medical Association, 184, 1255-1258. Landsberg, G. M., (2001), ‘Effects of clomipramine on cats presented for urine marking,’ in eds, Overall, K. L., Mills, D.S., Heath, S.E. & Horwitz, D., Proceedings of the Third International Congress on Veterinary Behavioural Medicine, pp186-189. Mills,D., Dube,, M. B. & Zulch, H., (2013), Stress and Pheromonatherapy in Small Animal Clinical Behaviour, Chichester, UK, Wiley-Blackwell. Neilson, J. C. (2004), ‘Feline House Soiling: Elimination and Marking Behaviours’, Clinical Techniques in Small Animal Practice, 33, 287-301. Neilson, J. C., (2009), ‘House soiling by cats’, in eds Horwitz, D. F. & Mills, & D. S., BSAVA Manual of Canine and Feline Behavioural Medicine, Second Edition, Quedgeley, Gloucestershire, BSAVA, 117-126. Pryor, P. A., Hart, B. L., Bain, M. J. & Kelly, D.C., (2001), ‘Causes of urine marking in cats and effects of environmental management on frequency of marking,’ Journal of American Veterinary Medical Association, 219, 1709-1713. UK Cat Behaviour Working Group, (1995) Ethogram for Behavioural Studies of the Domestic Cat, Wheathampstead, UK, Universities Federation for Animal Welfare.